Blurb in our daily paper explained that Spokane has been visited by a dozen U.S. presidents plus some VPs, wives and others. Our list is Taft, Harding, both Roosevelts, Truman, Carter, Nixon, Clinton, Reagan, Ford and GW Bush. How about your town? How many presidential visits do you mark? Have you an ancestor who traveled west on the Oregon or California trails? Did you know there is a super organization dedicated to preserving not only the records of those travels but the physical trail (the ruts) itself? The Oregon-California Trails Association (OCTA) is headquarter in Independence, Missouri, and holds annual conferences somewhere along the trail. This year, 2016, it will be in Fort Hall, Idaho (near Pocatello) from 1-5 August. At these conferences (which are vastly different from genealogy conferences) there are few vendors (mostly books) and the emphasis is on scholarship and education. And the theme of each conference centers on that area, the geology, the Native Americans, the trail itself. Click to www.OCTA-trails.org for more information. The OCTA website also offers Paper Trails, a database of information about every single traveler on any of the overland trails as they are found and documented. So there is a second reason to check out OCTA. Several times I’ve taught a class titled, “Is There A Book With My Family In It?” The idea being that there are at least a dozen ways to check to see if there is a book written about your family. Carol Richey, in her article “Reminiscences” in the April-May 2016 issue of Internet Genealogy goes a step further. When you can’t find a book about your ancestors, nor family letters, diaries, journals or other personal accounts, turn to county or compiled local histories! “These town and county histories began to emerge in the 1870s, in a large part a result of the congressional resolution in 1876 recommending towns and counties compiled historical sketches for the nation’s centennial anniversary,” states Richey. She cites finally finding a biographical sketch of her ancestor in the Compendium of History, Reminiscence, and Biography of Nebraska, published in 1912. I think we have all been aware of these county histories but have also been aware that too often they were not indexed, nor were they even in alphabetical order. Found online, that problem is solved for then these books and their contents are word-searchable. So where to find these books? Online collections of state libraries, university archives, and the online collection of state and local historical societies. Also do check out http://books.familysearch.org and http://archive.org or www.hathitrust.org. These websites might also point you to “your” book. Back to the topic of cemeteries, one of my favorite cemeteries is Hollywood Cemetery in Richmond, Virginia. So named because holly used to grow profusely on the grounds, this cemetery sold its first grave in 1849. Hollywood Cemetery ranks as the second most-visited cemetery in the nation, right behind Arlington National Cemetery. Paths and driving roads meander through the 130 acres where you can visit the graves of several U.S. presidents. From their website, www.hollywoodcemetery.org you can click on Genealogy and then search their online burial records. Or their database of Confederate soldier burial records. Note of interest… there is a large Confederate burial area that, to be frank, is not well marked. This is because the Confederate dead from the Gettysburg battle (July 1863) were brought to Hollywood as their resting place. Can you imagine hauling hundreds of bodies 185 miles in the July heat???? Hollywood Cemetery is one place I must visit whenever I’m blessed enough to visit Richmond, Virginia. Upcoming Workshops We will meet at Hayden Library through June and then take a summer break. You may not find a paper trail leading to an elusive family member. Ancestors who live​d in counties where courthouses burned down may have had important land records destroyed with the courthouse. Some ancestors were just clannish people and distrusted the government, or purposefully disappeared from relatives. There are many reasons why no records exist for an ancestor. You can find your ancestor and something of his or her life and family. Get creative with those private or record-less ancestors. You got this! Individual Presentations, Group Projects and Exhibit Tables: What did you learn from our 5-month series on Albion's Seed and Mapping Religions? 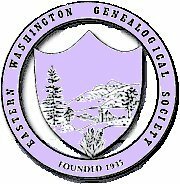 Saturday, June 11, 1:00 p.m. Finding Your Ancestors. A Resource Day to share books such Irish and Ulster-Irish, German, England and reference and history books, and other great research aids. Guest Speaker Darwin Kellicut: Finding My Genealogical Holy Grail in Tralee, Ireland! Location: Hayden Lake Family History Center 2293 W. Hanley Avenue, Coeur d’Alene, West end of the Building. A free writing class presented by Kim Morgan. The saga of migration from the Old World to New World, tends to be the most dramatic and momentous chapter in American family history. You have researched that story for at least some of your immigrant ancestors and discovered many other stories about your family’s past as well. Now it’s time to share them! Please keep in touch and feel free to forward this message to friends. I'd love to hear about your current genealogy project. As always I look forward to seeing you soon. Did you get the answers to my trivia-quiz? The sun never sets in northern Norway from May 12 until August 1st………….. no wonder one reason possibly why our Norwegian ancestors wanted to come to the sunny U.S. Midwest. Robinson Caruso was the fictional character created by Scottish sailor Alexander Selkirk. And it was true, the Spanish Flu sprang to life at Fort Riley, Kansas, was carried over to Europe and then back to the U.S. Who guessed correctly?